Walden West has gathered many interns from Summit Public School: Tahoma to volunteer as cabin leaders. Usually, when gathered at the site, there are other people who volunteer to also become cabin leaders. From there begins the joy of taking care of children and experiencing nature along the way. 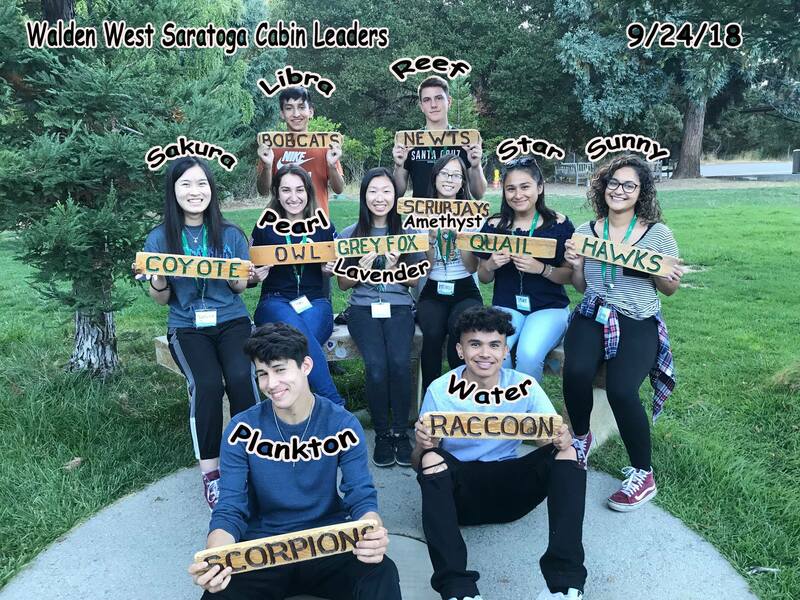 These cabin leaders from Summit Tahoma are completing their internship through Walden West. Walden West asks the volunteers to arrive at the site on Sunday afternoon to go through training. In training, you meet others who will also be cabin leaders that week. Then they make you fill out a survey which tells you the characteristics that you might have. When I took the survey, it said that I had the characteristics of a lion. This means that I can be bold, reliable, and passionate. However, I have problems with being calm and overthinking, according to the quiz. There are three other animals from this survey: otters, golden retrievers and badgers. These four animals rely on each other for their strengths to become a role model for the children. On Monday the children arrive, and you are assigned to a cabin to lead the kids into. From there the kids talk to you and most are ecstatic to be there. As a leader, you tell them what to expect, and you establish some rules known as the Cabin Constitution. The kids must make the rules themselves because it is their trip, and they should think about rules that seem reasonable for themselves. This small waterfall can be found when hiking at Walden West. Throughout the week, the children go on hikes with their assigned field class. In almost every field class, there is a hike involved. During these hikes, you can see the nature that surrounds the world and how often it goes unnoticed. Throughout these hikes, the children can hear the sounds of nature, like birds squawking, rivers running and leaves getting crushed when walked upon. Not only is it amusing for the kids to see life in a new way, but they also get a sense of realization that this is who “Mother Nature” is. It sparks their thinking about global warming and the changes that are causing animals to become endangered or even extinct. Walden West also has methods for getting kids to save the earth in small ways. For instance, when the children take a shower, they only have two minutes to wash, in order to conserve water. Another way is by having a food waste count of all the children who put too much food on their plate without thinking and end up not eating it. The lower the total waste count is, the more the kids are proud of themselves, since it would be one of the first times they had to serve themselves without a parent. At the camp, there are some rewards for having successfully accomplished these two conservation methods. For showering in two minutes, the children can receive shower bling, which translates to a point for a particular cabin. The more points the cabin wins, the more privileges they get when it comes to certain things like lunch or dinner. For the food waste count, if they get less than 50 ounces of food waste every meal, they get their school’s name carved on a wooden board to celebrate the conservation of food waste. This banana slug was seen at Walden West. The songs that are performed are usually performed by the staff, and the kids seem to love the songs because they are upbeat and fun to sing. The team usually has boards with the lyrics so kids can sing along and make hand motions with them. Most of the songs have to do with nature and animals, such as “Live Oak, Like Oak” and “Bats Eat Bugs.” In each song, there is a different message, whether it is information about a certain thing in the wilderness or a funny, upbeat song to get the children’s spirits up. Images in the slideshow: These animals can be spotted at the campsite at Walden West. The songs aren’t only for the homesick kids, but they’re also a way to get children to bond with students from other schools. Most of the time, the schools are mixed up with another in order to have more children at camp. With these songs, it brings children closer together, even if they don’t realize it. At the end of the week, the kids do not want to leave because of the friendships they have made with children from another school. The staff observes the skits performed at the campfire. Each night at Walden West there is an activity program for the children in order to end the day with a smile. On Monday night, there is a campfire made for the kids. Then, the cabin leaders work and perform a skit for the students to make them laugh and have a good time. The teachers perform a skit as well for their students because, in reality, the children love seeing their teachers make a fool of themselves. Tuesday night is Astronomy Night in which the students explore outer space and planets. This involves activities such as learning exercises and visuals of the stars and planets. Usually, the children are split up so it isn’t so crowded, and they go to different stations. One of the stations is being able to see constellations and planets through a telescope. Another station is having the children make a flag about a planet they are assigned to. In the last station, the children act out Greek mythology stories. It is very amusing to see the children go out of their comfort zone and act out or collaborate with other students. This is the Saratoga site of Walden West. On Wednesday night, there is a night hike which challenges the kids to be brave because there will be no flashlight used at all. The children are always uneasy about this hike because it is incredibly dark, and it can be easy to go off trail. When they arrive at the destination, the field instructor tells them a story about their adventures and gives them wintergreen Lifesavers and shows that it lights up in their mouths when bitten. Although the kids, in the beginning, can be a little scared, at the end of the night hike, most of the students have a wave of courage and the feeling that they can do anything. On the last night of Walden West, there used to be a trivia night for the students. However, it has recently changed into something a little more complex. Thursday nights now have a program called ‘The Great Debate for Lot 228.” This program assigns the cabins with an option, of a total of four, to debate why they should be able to buy the lot that is for sale. The four options are equally as good for the ability to be able to buy the lot. The children must be able to use their presentation skills and arguments to convince the council why they should buy the lot. Although it may seem a little too complicated for the children, cabin leaders and staff have hope for the kids because they know that they are capable of managing something like that debate. After the debate, the children are surprised by a dance party. This dance party is a celebration of finishing the week and ending the night on a good note. This spider was seen while hiking. On Friday morning, the children have a postcard handed to them, and they are required to write to their future selves. The children usually write about how they will keep on saving the planet one step at a time and how they will spread that positivity to others. The children are typically sad because they are leaving that day. However, they are happy that they were able to experience a week with nature. Walden West is an educational camp that always leaves the children with the mindset of trying to save the earth. They are consumed with the feeling of making a change, even if it’s with oneself in just one week. As a cabin leader, you can see the children grow up in that one week and see that a switch in their mind has flipped because of the camp. The children show a little more responsibility and persistence to do something, even if it is something small. 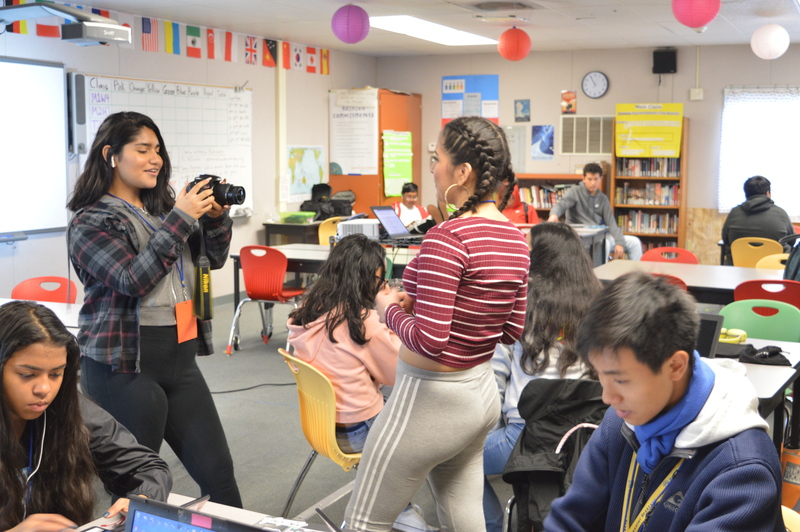 Featured Image: The cabin leaders (who were chosen from Summit Tahoma and Evergreen High School for an internship at Walden West) smile for a photo.